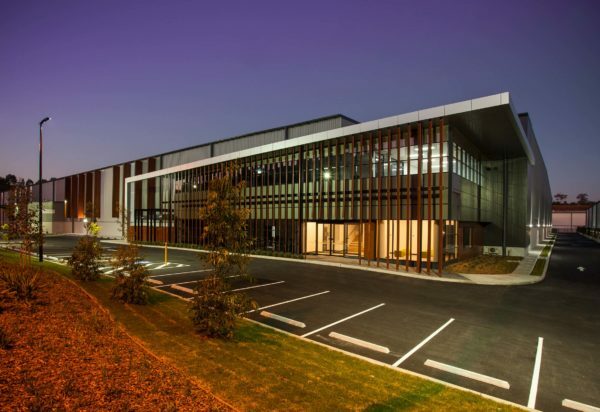 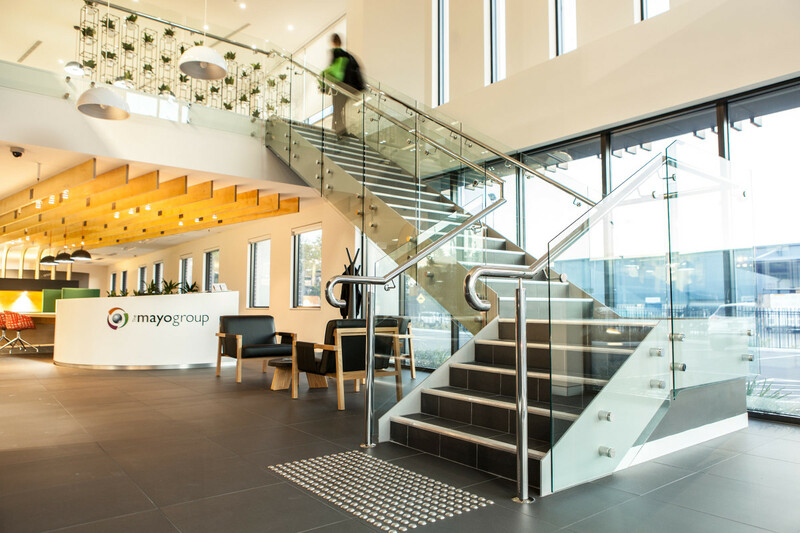 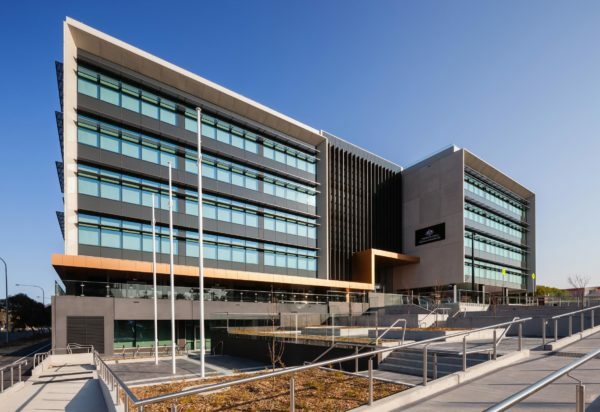 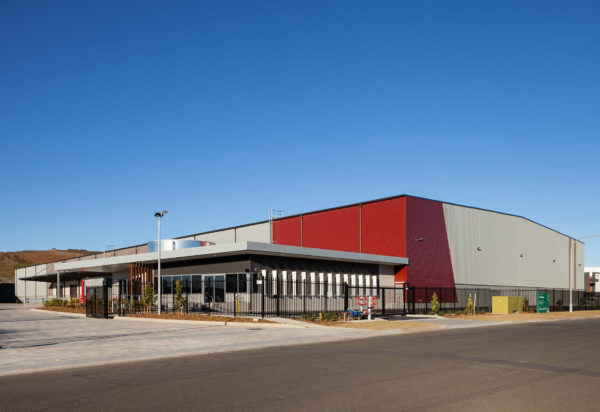 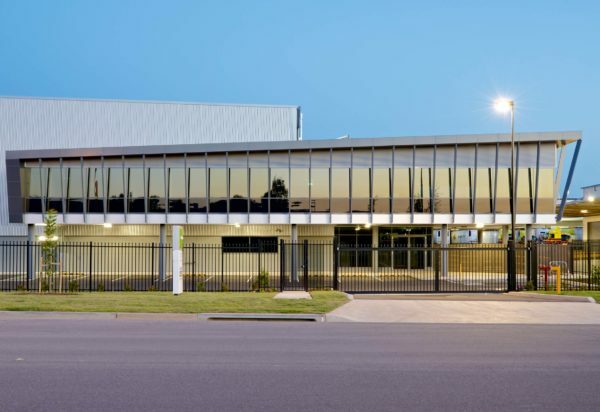 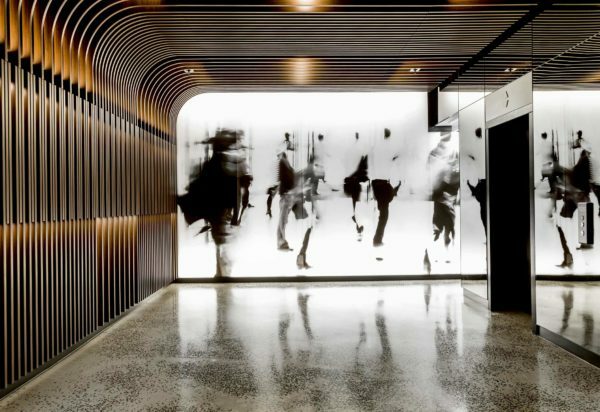 The Mayo Group project consolidates an existing operation into one site to create an efficient and functional workplace. 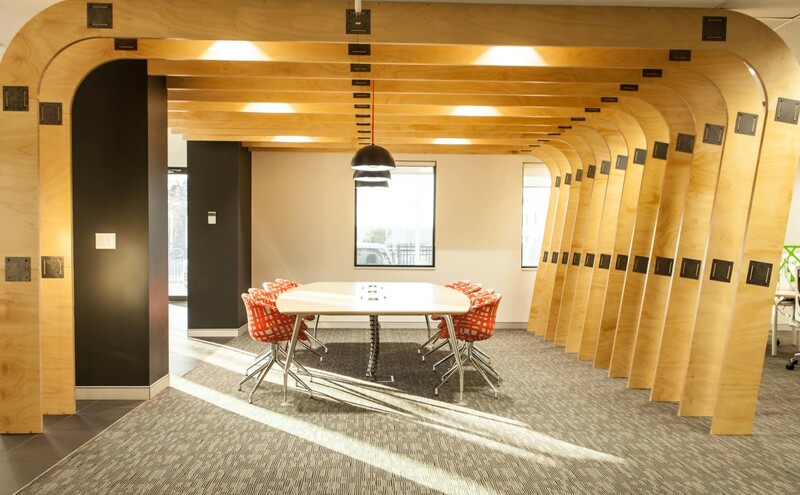 The brief was to create a contemporary workspace with a formal, yet non-corporate atmosphere to reflect the family nature of the business. 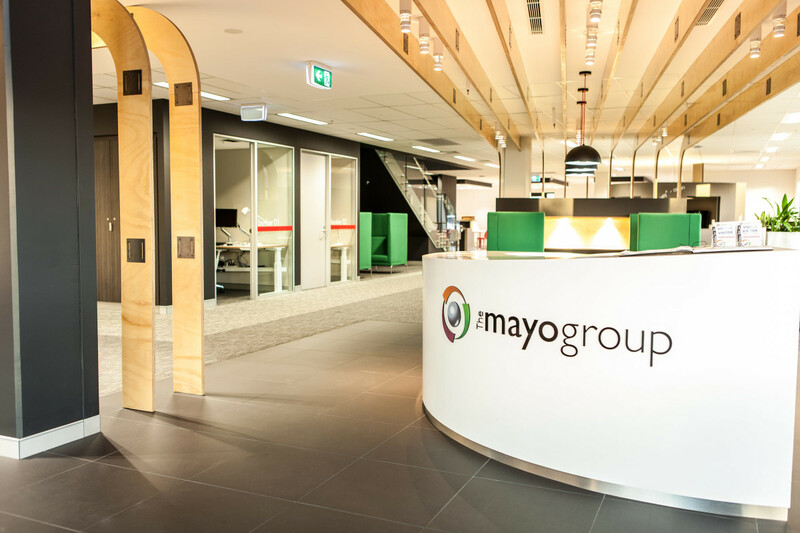 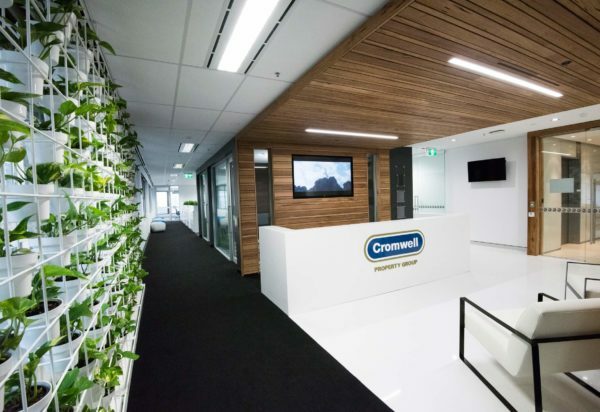 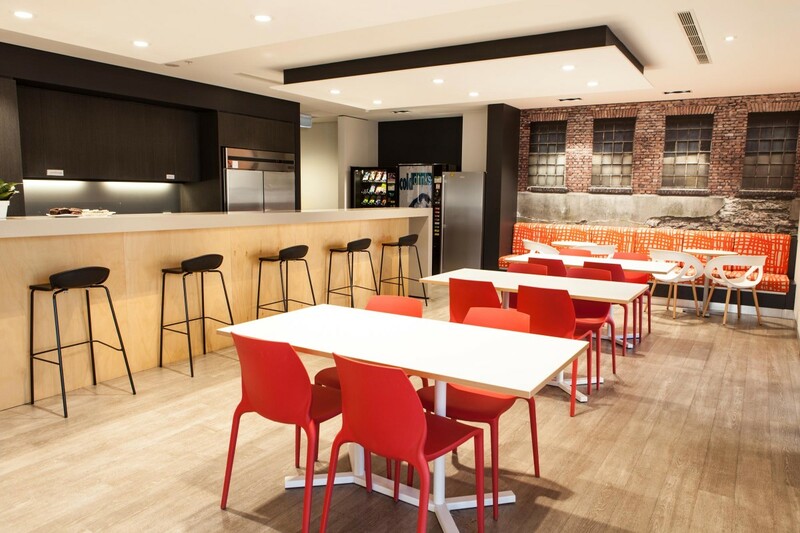 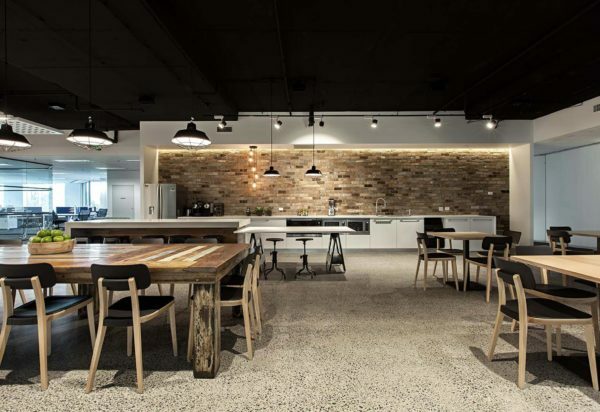 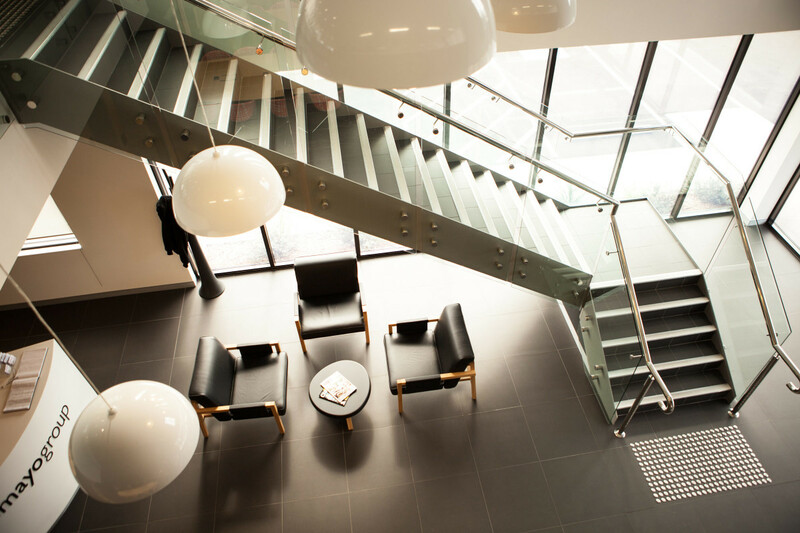 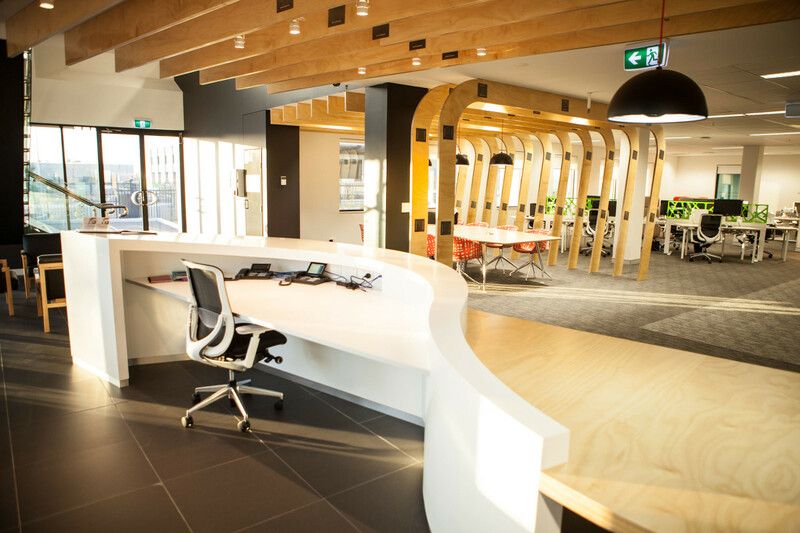 The Mayo Group fit out was designed around the ABW (Activity Based Working) model. 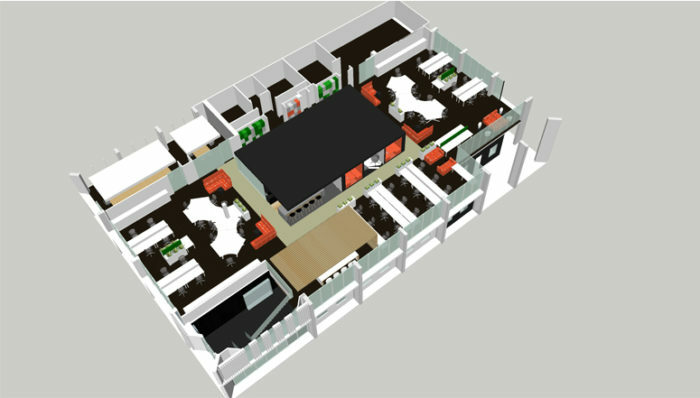 This model recognises that throughout the course of any day, people in a workplace have a number of activities to complete in various settings. 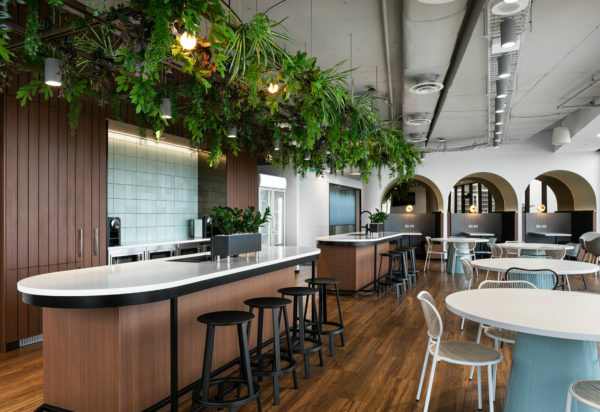 The physical, virtual and behavioural environments of theses workspaces were represented through a series of collaborative workspaces. 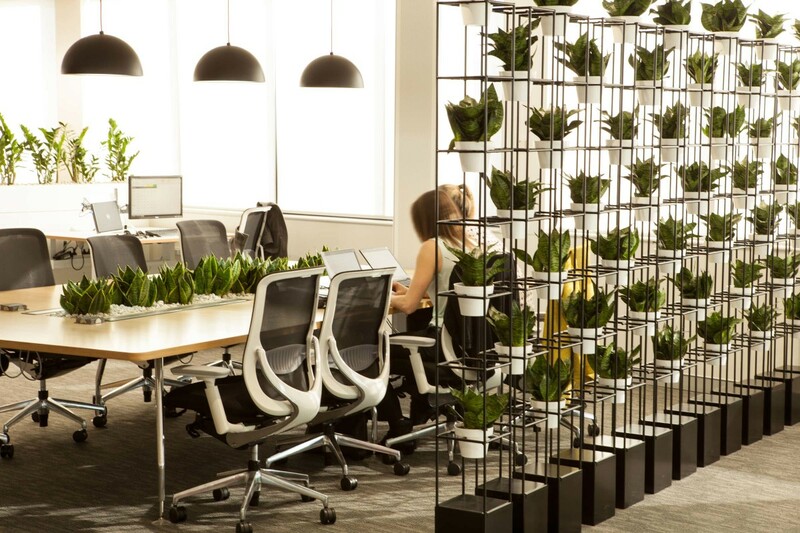 Activity settings incorporated in the project include: presentation zones, private meeting rooms, phone booths, chat rooms and semi-enclosed and open collaboration zones.These areas not only serve to support the ABW model but also promote a feeling of energy and wellbeing through the introduction of vertical gardens and design graphics incorporating organic patterns and textures.